Novomatic's Dolphin's Pearl slot is a bit of a cult game and I'm a big fan. 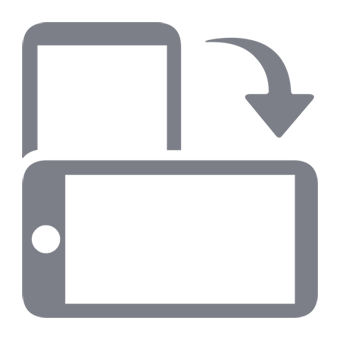 You'll often find it on the Gaminator machines or badged as "Novostar", "Novoline" or under the Admiral guise depending on where you play it in land-based casinos but the online version is developed by Greentube, a Novomatic Group subsidiary. I didn't used to really like the game...I was much more into the Book of Ra with it's expanding scatter symbol but that was probably because I'd only played the 5-payline original of Dolphin's Pearl at a casino in Budapest and didn't get much joy from it. Now that the "Deluxe" version is online at a selected few casinos, the old Classic 5-line version is no longer to be found. 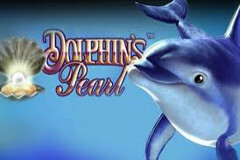 The main difference between the original Dolphin's Pearl slot and the Deluxe version is the increase from 5 to 10 pay-lines and some fresher imagery. It is basically the same slot but with a more modern feel but those of you who are already familiar with Novomatic games will know that they have an old-school feel to them, much like those from Aristocrat. But to be honest, that is part of their charm in my opinion. The key to profits on Dolphins Pearl (as with most online slots to be fair) is via the free-spin feature. In fact, Dolphin's Pearl and its cousins, Lucky Lady's Charm and "Egyptian Experience" (which are both basically clones of Dolphins Pearl Deluxe) are volatile pokies - what the industry terms as "high variance" - meaning that winning anything decent in the base game is extremely hard. Even triggering the free spins can take an age so you need a decent budget and a lot of patience! When you get the 3 (or more) Oyster Shell scatter symbols that trigger the feature however this is where the fun begins (hopefully!). You get 15 free spins at 3x which is pretty much the benchmark for slot machine features these days but in Dolphin's Pearl you get new reel strips which give you more chance of winning - in particular it adds more oyster shell symbols to each reel so you can retrigger the free spins. I've had over 100 free spins on more than one occasion playing the Dolphin's Pearl slot and 60 - 75 several times more. If you can get a re-trigger then chances are you are walking away with 100x your bet or more. Of course there is no guarantee - I've frequently come away with a lot less and no retriggers but hey, that's high variance slot games for you - you are taking the rough times in the search of a huge win and the Dolphin's Pearl slot is a typical but fun example of such a game.